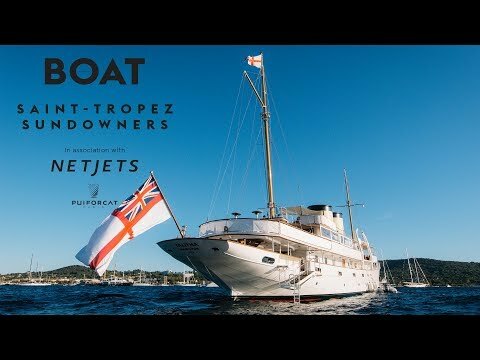 Held to coincide with the annual Les Voiles de St Tropez regatta, Boat International Media's Saint-Tropez Sundowners took place on Wednesday October 3, 2018 on board 82.6 metre classic yacht Talitha. 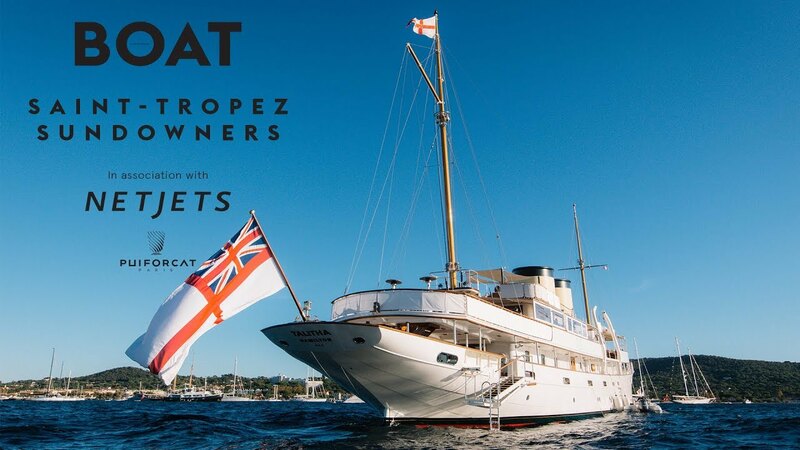 Boat International Media would like to thank event sponsors NetJets and Puiforcat for their support and La Réserve for providing the wine and champagne for the evening. 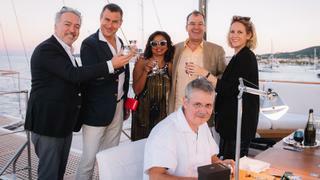 Brian O’Sullivan, owner of 41 metre Horizon yacht Komokwa, and Mehrsa Maali enjoying Michel Reybier champagne, courtesy of La Réserve. 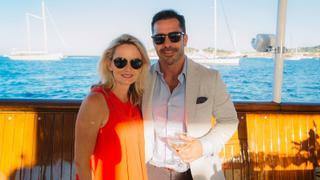 Julie Hicks and Hugo Patrocinio, vice presidents of NetJets. 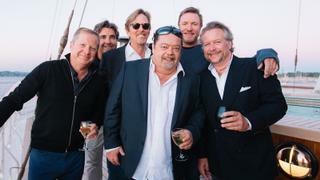 Sir Charles Dunstone, owner of 64 metre classic yacht Shemara, Peter Dubens, Simon Le Bon, Alastair Cuddeford and Will Nutting with a guest. Will Nutting, Sacha Bonsor, editor-in-chief, and Stewart Campbell, editor of Boat International, and Tom Wiggin. Nicolas Cantenot, managing director of Puiforcat, Luca Vasile, Christophe and Lilly Albin, owners of 37.5 metre Fitzroy sailing yacht Escapade, Elvire Blasset, director of Puiforcat, and Puiforcat artisan Dominique Corriton. 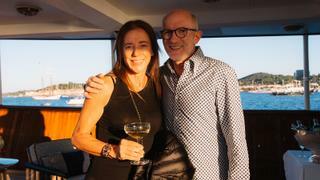 Puiforcat demonstrated the engraving of its champagne tumblers which were gifted to Tara Getty, owner of Talitha, engraved with the yacht's name at the end of the evening. 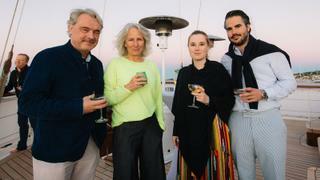 Nicolas Cantenot, managing director of Puiforcat, Luca Vasile, Christophe and Lilly Albin, owners of 37.5 metre Fitzroy sailing yacht Escapade, Elvire Blasset, director of Puiforcat, and Puiforcat artisan Dominique Corriton. 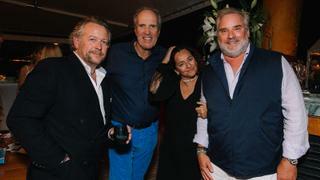 Puiforcat demonstrated the engraving of its champagne tumblers which were gifted to Tara Getty, owner of Talitha, engraved with the yacht's name at the end of the evening. 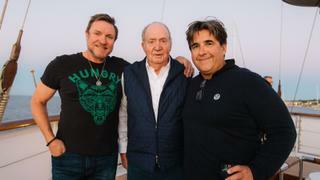 Simon Le Bon with Juan Carlos I of Spain and Peter Dubens. From L-R: Luca Vasile, Alessandro Lucio Bassi, Elvire Blasset and Dario Ferrari, owner of sailing yacht Cannonball and 52 metre Amels Deja Too. From L-R: Luca Vasile, Alessandro Lucio Bassi, Elvire Blasset and Dario Ferrari, owner of sailing yacht Cannonball and 52 metre AmelsDeja Too. 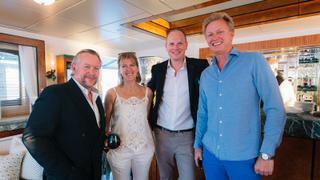 Conrado Dornier, owner of sailing yacht Tiziana, with Martina Dornier, Alicia Dornier and Janosch Novak. 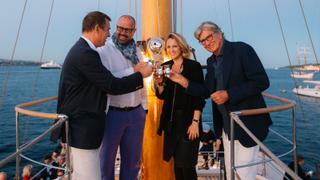 Marco Vogele, owner of sailing yacht Inoui, and Fransiska Richenbach. 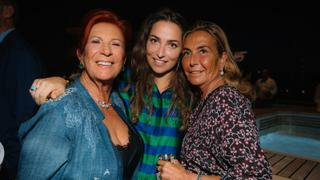 Paola Trifiro, owner of Vitters sailing yacht Ribelle, Geraldina Bassani and Madina Ferrari. Will Nutting, America’s Cup sailor Marc Pajot, Florence Pajot and Tara Getty. 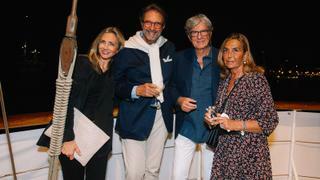 Sara Iannuzzi, Tonino Cacace, owner of Wally sailing yacht Magic Blue, Dario Ferrari and Medina Ferrari. Terry Hui, owner of sailing yacht Lyra, and Olivia Lam.